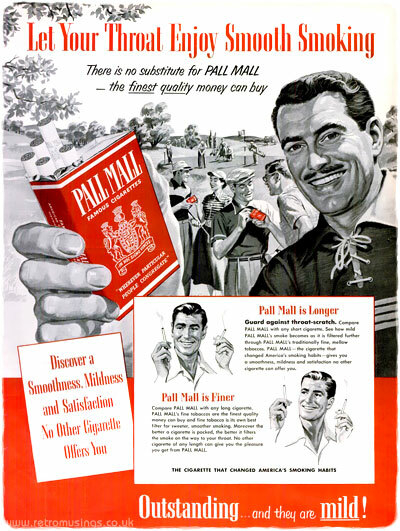 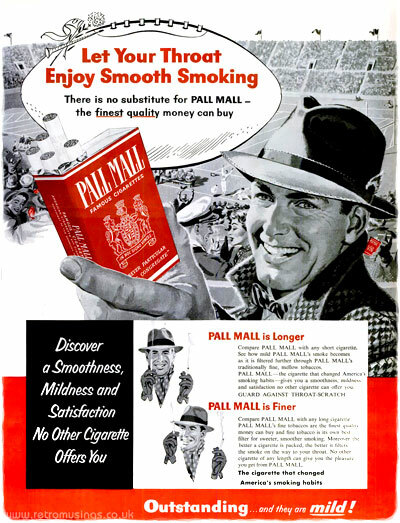 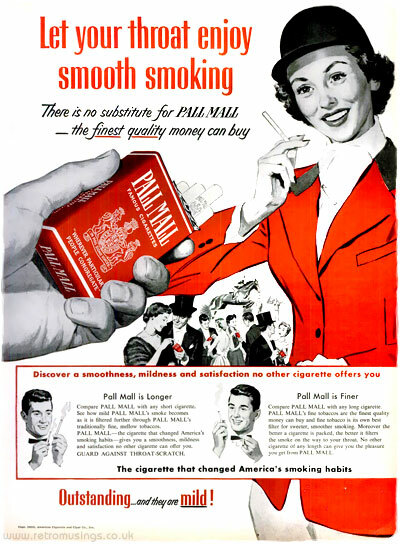 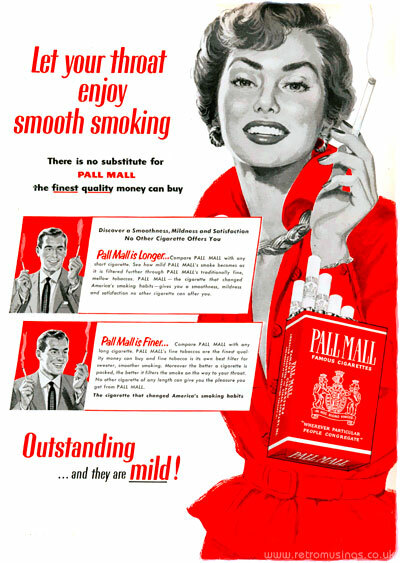 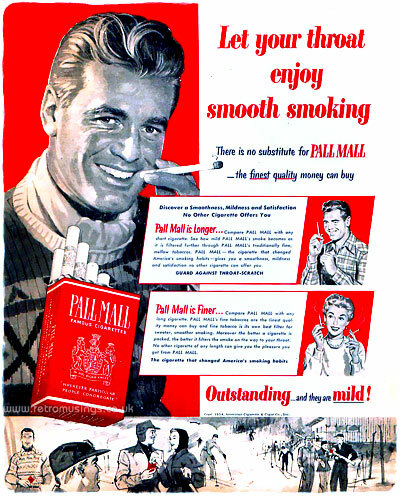 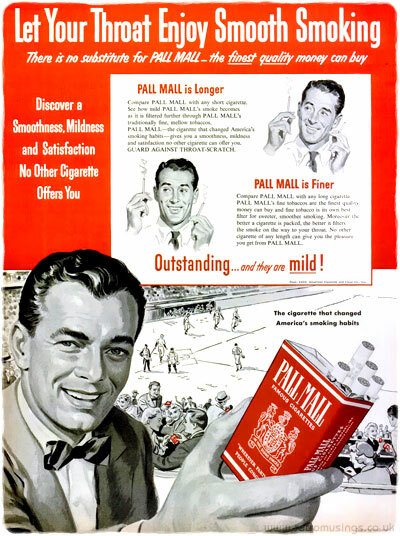 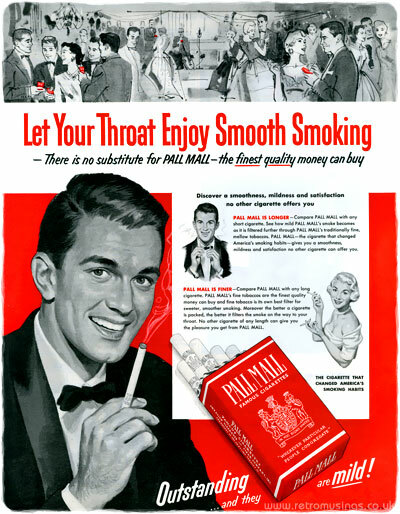 These ads for Pall Mall cigarettes date from 1953-54. 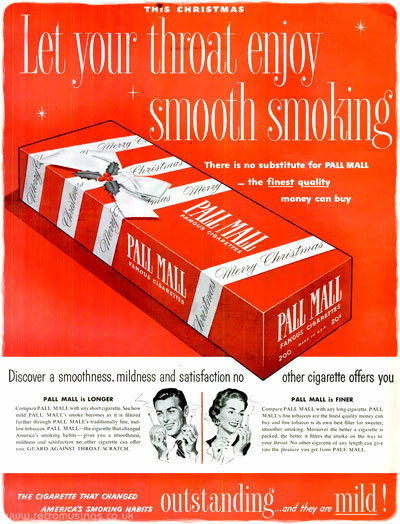 They were very similar to the later ads of previous campaign, with red and white backgrounds, and black and white illustrated smokers. 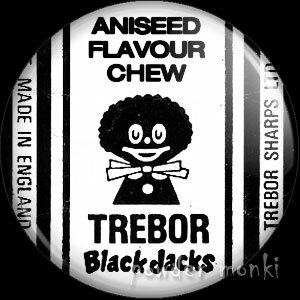 Unfortunately I don’t know who the artists were.